If you’re planning a Vietnam and Cambodia tour in 2019, one of the things you should know before hand is the best time of year to visit Vietnam and Cambodia. The weather in these two countries is varied greatly according to geographic characteristics with different patterns in different time of year. Finding the most suitable time to visit will make your trip to even more fulfilling and you can enjoy all the activities to your heart content. Vietnam and Cambodia have all kinds of climate matched with its diversity of physical features including mountains, beaches, islands, valleys, deltas and cities. In the same country, the weather can change dramatically between summer and winter. While in Ho Chi Minh city and other southern regions, summer has only two variations – hot – dry and hot – rainy. Central part of Vietnam has slightly different weather pattern from the north and the south. It plays to your advantage to know when is the best time to visit Vietnam and Cambodia. Overall, the best time of year to visit Vietnam and Cambodia is from December to March with a quite pleasant weather throughout the countries. Vietnam is located in the tropical area but the climate in Vietnam is divided into three main distinct climate zones: North, Central and South. Every year the monsoon season affects Vietnam significantly, bringing to different region different weather characteristics. The long coast from north to south helps making Vietnam’s climate so much milder than other countries that on the same latitude. Cambodia has the simplest weather patterns in Southeast Asia with two distinct seasons which are both suitable for tourism activities. In different areas, the weather can be varied but not much difference there is so you can expect to travel Cambodia almost all year round. Due to the northeast monsoon arrival, days can be heated with winds blowing across the entire country. The weather can be scorching by April which pushes the time for Angkor temple tours to late afternoon. This season is also the peak tourism season in Cambodia. Southwest monsoon brings to Cambodia almost 75% of annual rainfall during these months. However temperature during days remains high, from 25 to 27 Celsius degrees. Temperature in May, June and July reach the highest with infrequent short downpours. Toward the end of the season, the rains tend to become more constant and can be heavy at times, especially in coastal and rural regions. When is the best time to visit Vietnam and Cambodia? 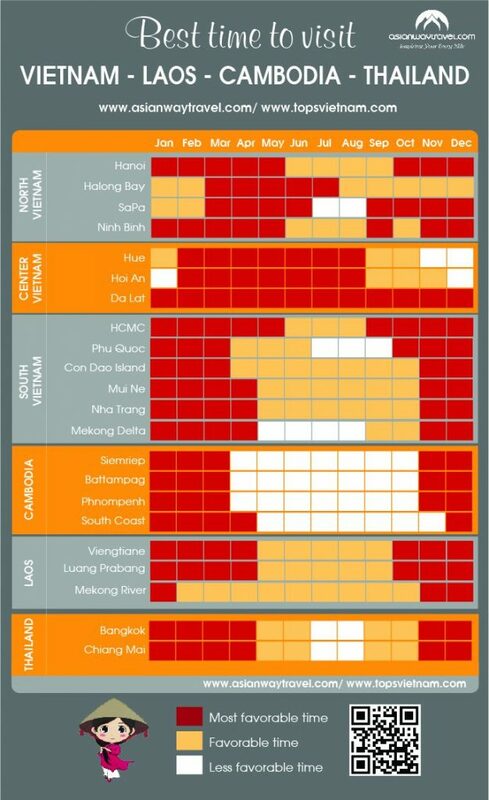 As you can see, the supposedly best months to visit Vietnam and Cambodia are November - April. Let’s find out what is the best time to explore each country. In every month, there’s a tourist destination in Vietnam that is in perfect weather condition for you to visit. However, if you wish to make a long trip to most of the major attractions in Vietnam, then choosing the time can be tricky. 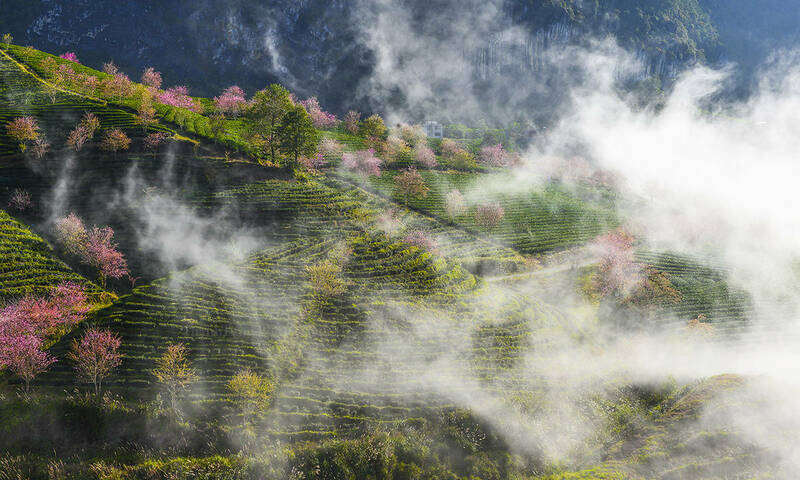 The beautiful north Vietnam can be visited all year round but the best time for tourism activities is from October to May. This time falls in the time of Winter and Spring in the north which have the ideal weather characteristics since winter is dry and quite cold while in spring, the cold is a lot milder, and it’s also the time for traditional festivals. Best time to visit Hanoi: September to April when it’s dry less rainy with a lot of flowers blooming. September to November is the autumn in Hanoi – the time Hanoi has this romantic, nostalgic feeling. 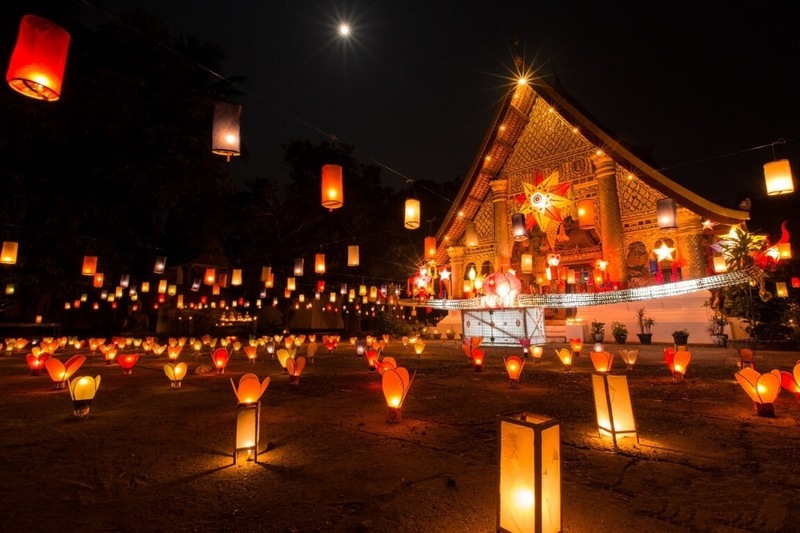 December, January and February are winter months when the temperature drop low but it’s also the time for the biggest traditional festival in year – Lunar New Year. March, April is the time of spring and festivals. 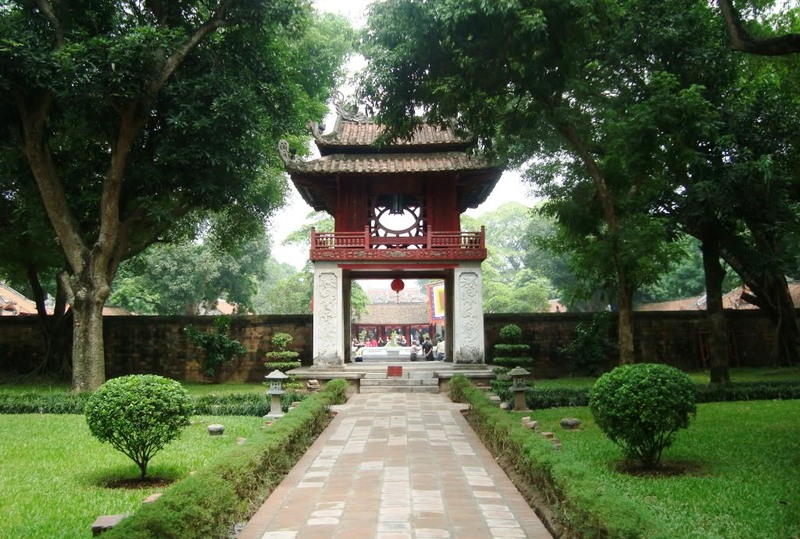 There is almost no best time for a Ninh Trip tour because every month is pleasant enough to visit this destination. From May to October, Ninh Binh is hot, humid and rainy and especially vulnerable to typhoons during September but this is also the time to see the vivid golden color of the floating rice fields in Tam Coc. Halong Bay weather can be divided into two main seasons: cold dry winter and hot humid summer. In winter time which lasts from November to March, especially in January and February, the water can be cold and not suitable for swimming but other activities are still enjoyable. Average temperature in winter is about 12 Celsius to 20 Celsius degrees. 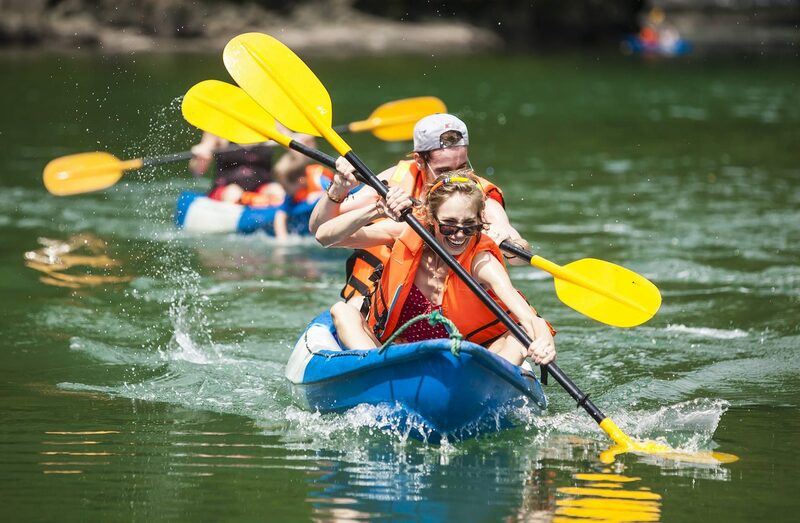 Summer time is supposed to be a better time for enjoying a Halong Bay cruise with blue sky, pretty greenish bay water and perfect temperature for swimming, kayaking and caving. Sapa can be very cold in winter months, with the high chance of snowing on Fansipan peak. During autumn which lasts from September to October, the terraced fields turn all the mountains and valley golden. Winter in Sapa is also the time for local festivals of ethnic people. Rainy season can be dangerous to travel to mountainous areas in north Vietnam. Unlike the other two regions, Central Vietnam has its hot and dry weather last from mid-January to late August, with temperature often reaching to mid-30 degrees of Celsius. The rainfall reaches peak levels in October to November, occasionally brings typhoons and floods. 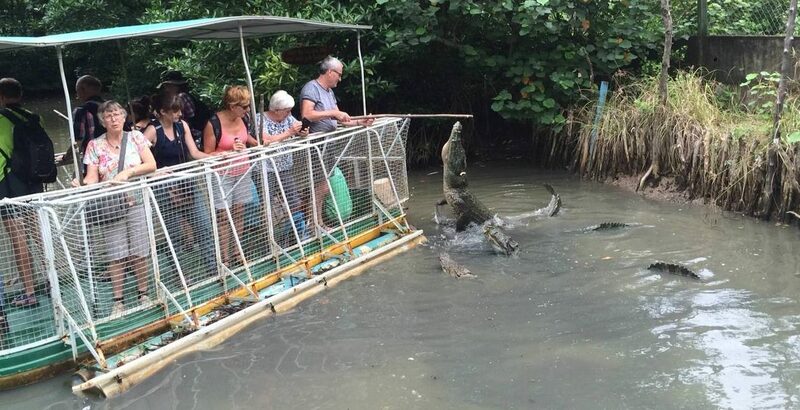 It’s not ideal to visit Central Vietnam during these months. Hoi An suffers flooding annually in its rainy season while the rains in Hue have been famous for its poetic beauty. Dalat has wet season from June to October which is not suitable for outdoor activities. From November to May it’s the dry season with lowest temperature in December and January. The weather in the south of Vietnam is steady with high temperature, high humidity and a high rainfall. There are two season – hot and dry season which lasts from November to April/May and hot and wet season lasts from May to early November with June, July and August receiving the highest rainfall of year. Ho Chi Minh city is most beautiful to visit from December to April. You can expect blue, clear skies, just perfect for photo taking. Visit the city in rainy season has one good thing - the heat is cooled off by the downpours. However, HCMC is affected severely by flooding in this time. 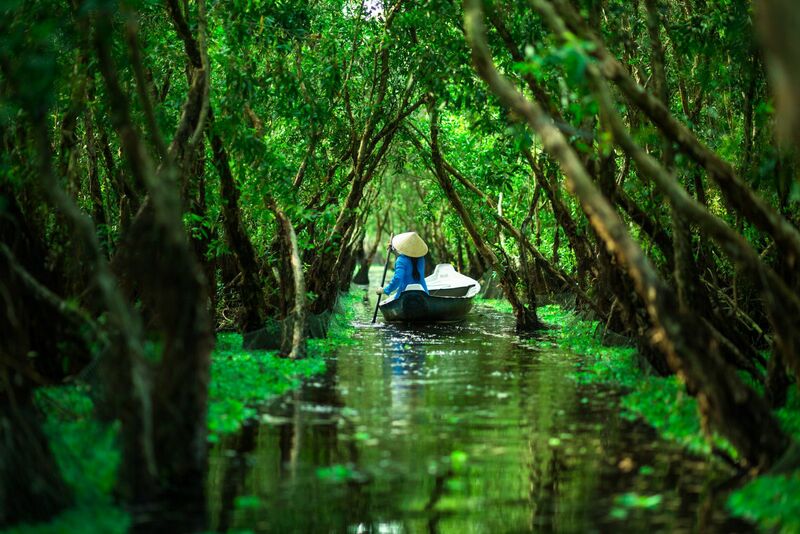 Mekong Delta with its wet forests and floating markets is best to travel in the rainy season, lasts from September to November, when the water come back to the swamps. Phu Quoc Island can be visited all year round, with a lot of sunny, warm days, ideally for chilling and relaxing on the beaches. Outside of dry season, afternoon downpours should be expected. The best time to visit throughout Cambodia: November to March which is also the dry season. Best time to visit Siem Reap: November to March with cooler and drier weather, humidity around 74%. The green season from May to October is also great with refreshing afternoon rains to cool off the heat of day. 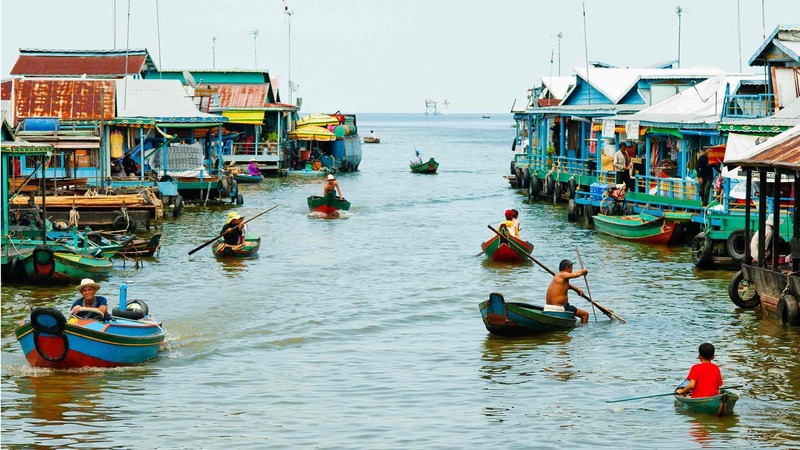 Best time to visit Tonle Sap Lake: between July and December. Actually you can visit the lake all year round but the water levels can affect where you can and cannot go. July-Dec have the best condition of water level for visiting. Best time to visit Battambang: dry season is the best but if you want to visit unpaved roads, don’t do it in September and October because the rains can cause trouble transporting. Best time to visit Phnom Penh: November to February with the lowest temperatures and rainfall. One thing to notice for those who traveling to Phnom Penh in summer is that there's close to none shopping malls or commercial centres with air-conditions on full blast in the city for you to escape the heat. Best time to head to Kep and Sihanoukville: visit during November to April for the most sunrise and temperature around 24 Celsius degrees or between December and June for the clearest water and scuba diving. In the most suitable time, Sihanoukville is bathed in sunshine, with clear blue skies, refreshing sea breezes and crystal clear water. This is one of the most important and spiritual festivals in Cambodia. Lasts for half a month, it's a common belief that during this time, the trapped spirits of dead ancestors stretching back to seven generations return to earth. During the festival, Cambodians again return to their homeland to visit pagodas – seven are recommended – to pray, receive blessings and give offerings to monks, mainly in the form of food. The most colorful and touristy festival in Cambodia, meaning you can easily join this festival when visit Cambodia. 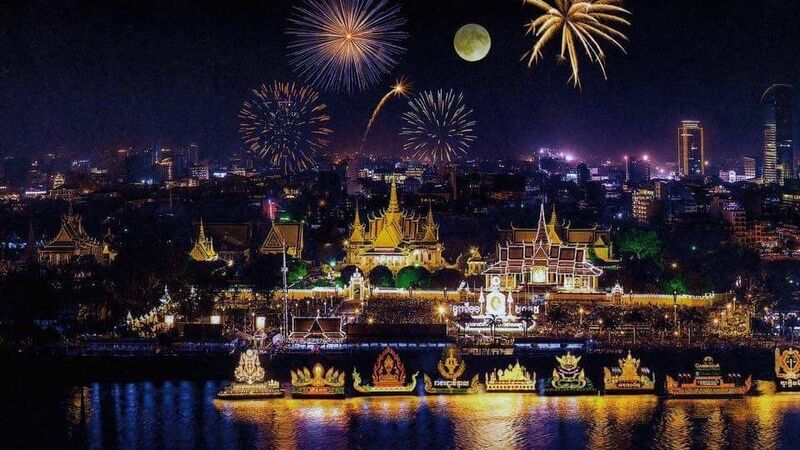 The festival marks the end of rainy season, lasts three days with a LED boat parade on Tonle Sap River, and a boat race on the same river. 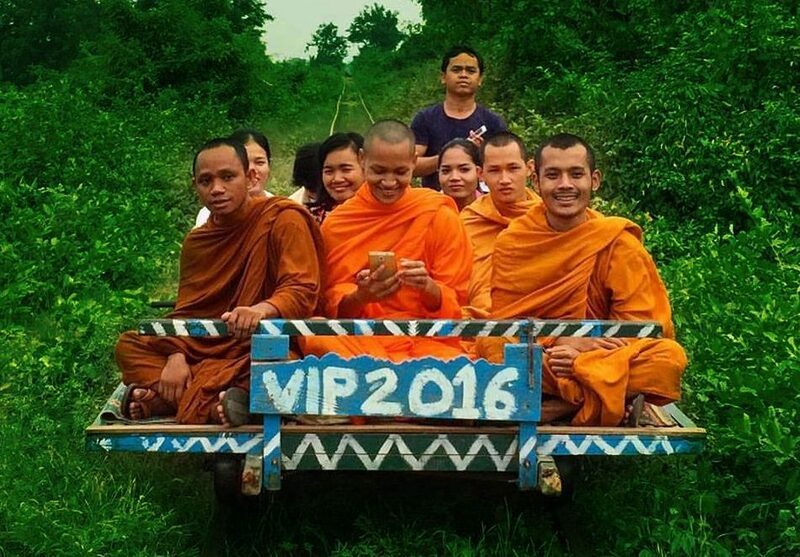 Are you ready to enjoy your best travel experiences in Vietnam and Cambodia in 2019? See here our best itineraries for Vietnam and Cambodia in this year. 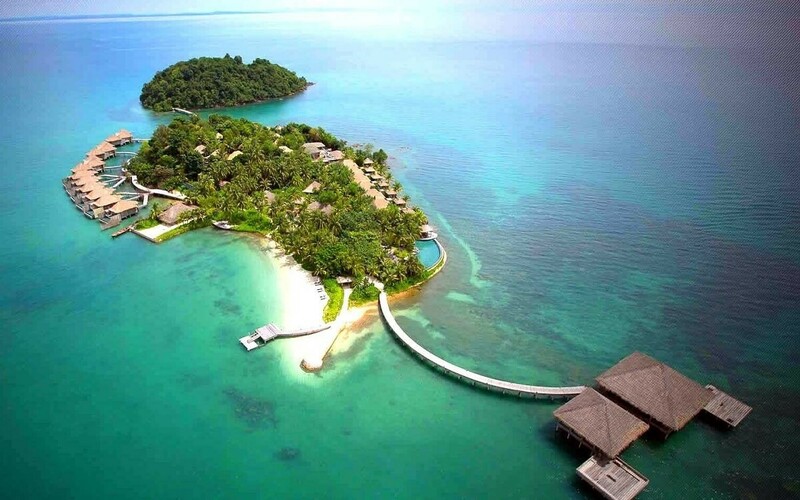 Contact us for more information or send your request to our email booking@asianwaytravel.com.